Brendan Clarke; Lee Desmond, Sean Hoare, Jason McGuinness, Ian Bermingham; Conan Byrne (Morgan Langley, 78), Killian Brennan, Aaron Greene, James Chambers, Christopher Forrester (Conor McCormack, 81); Christy Fagan (Jamie McGrath, 54). Craig Hyland; Simon Madden, Conor Kenna, Max Blanchard, Luke Byrne; Gavin Brennan, Patrick Cregg, Keith Fahey (Gary McCabe, 65), Ryan Brennan (Stephen McPhail, 46), Brandon Miele (Kieran Marty Waters, 46); Michael Drennan. 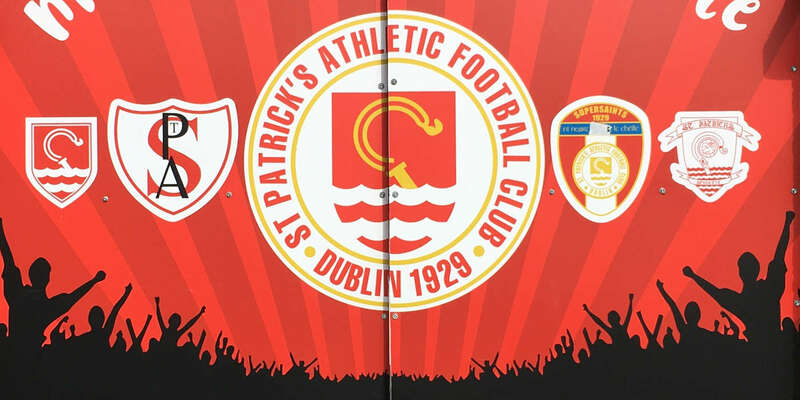 St Patrick's Athletic put their disappointing league form behind them as they defeated Dublin rivals Shamrock Rovers 2-1 in tonight's Irish Daily Mail FAI Cup second round clash at Richmond Park. After failing to impose themselves in the opening quarter, the Saints took control of affairs with Conan Byrne opening the scoring in the 32nd minute before Jason McGuinness headed home a second five minutes later. Michael Drennan struck the crossbar for Rovers in the 47th minute and although substitute Gary McCabe offered late hope with a free-kick in the 84th minute, St Pat's held on for an equally deserved and crucial success. 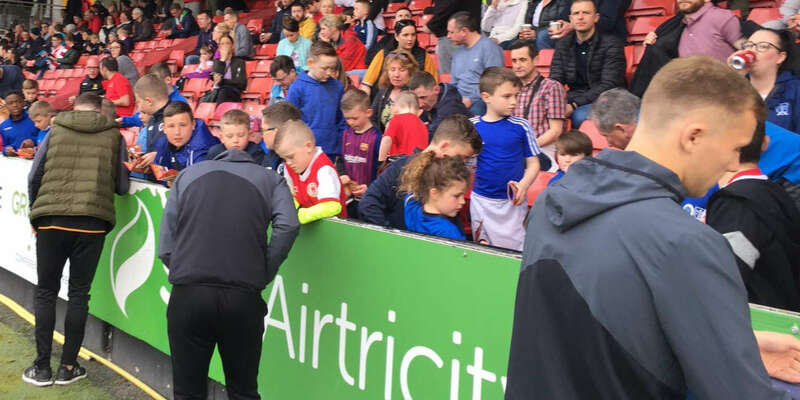 With both sides struggling to keep tabs on Dundalk at the summit of the league table, the importance of the fixture became even more pronounced with nerves especially evident in the initial stages. From some hesitant home defending in the second minute, Drennan found himself through on goal but a poor touch was followed by a skewed shot that veered wide of the upright. The visitors continued to impress and another opportunity arrived six minutes later with Ryan Brennan heading wastefully over the bar from six yards following Keith Fahey's precise free-kick. The Saints gradually began to find their feet with Gavin Brennan making a crucial intervention to prevent Ian Bermingham from meeting Aaron Greene's inviting cross in the 14th minute. From the resultant corner-kick, Sean Hoare was unfortunate to see his flicked attempt rebound to safety off a plethora of defenders on the line. However, it was the Hoops who looked the more composed outfit with Simon Madden a more than willing outlet on their right-flank but they lacked incision to take advantage of their control in terms of possession and territory. Three bookings inside four minutes ensured the vibrancy of the tie remained constant but a lack of goal threats between two teams short on confidence helped ensure a stalemate of sorts. All that changed in the space of five disastrous minutes for Rovers as they conceded twice with the visitors architects of their own downfall on both occasions. In the 32nd minute, a sloppy pass from Patrick Cregg was seized upon by Byrne and the hosts' top scorer capitalised superbly with a curling effort low to Craig Hyland's left from twenty yards. Within five minutes, the home lead was doubled as McGuinness rose highest to head home Byrne's corner-kick, albeit after some poor handling by Hyland at his near post. With confidence restored after those two strikes, St Pat's looked far more assured from that point as they entered the break two goals to the good. Rovers reacted by introducing both Stephen McPhail and Marty Waters at the interval and that adventurous switch almost paid instant dividends as Drennan headed against the crossbar in the 47th minute from Madden's excellent cross. However, their more attacking policy left gaps at the back and a minute later Greene raced unopposed from deep to eventually have his unconvincing attempt from eight yards blocked by Hyland. Waters was already proving himself a nuisance for the home defence and a fine pass placed Drennan clear in the inside-left channel but his resultant shot nestled in the side-netting. The ebb and flow was maintained with the hosts content to absorb pressure and they came close to extending their lead through successive efforts by Byrne and Chris Forrester. 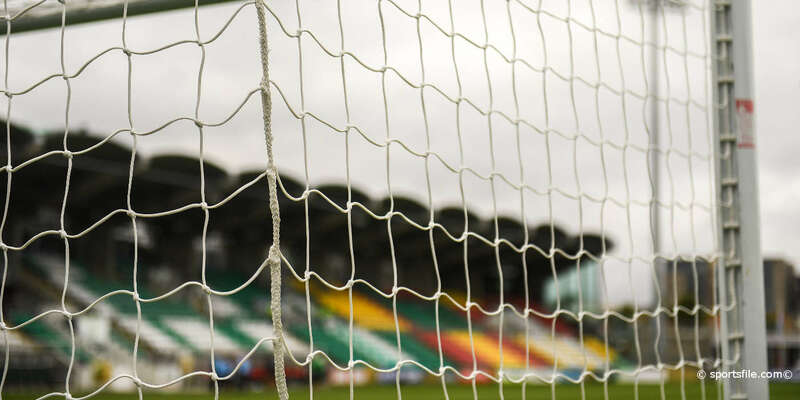 Greene should have booked the hosts' berth in the third round with Hyland racing bravely from his goal to block in the 79th minute and that miss looked doubly costly as McCabe fired a sumptuous free-kick past Brendan Clarke from the edge of the area. The visitors piled on the pressure for the ensuing ten minutes but a home defence, superbly marshalled by Hoare, withstood the onslaught to confirm the precious win. For St Pat's, it proved a highly satisfactory victory given their travails in the league while for their opponents, the long wait will continue for another year at least with Rovers last having won the Cup back in 1987.